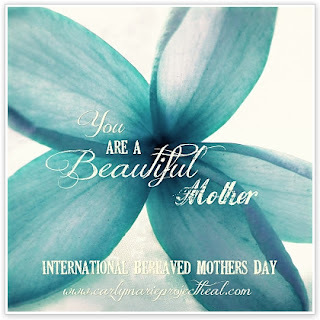 Everyone knows that Mother’s Day is in May, but did you know that Sunday May 6th 2012 is International Bereaved Mother’s Day? This special day was created by Carly Marie to honor and celebrate mothers who carry some, if not all, of their children in their hearts rather than their arms. In our modern day society, mothers who are grieving the death of their babies and children are usually forgotten. The traditional Mother’s Day has proven to be an emotionally difficult day for so many mothers around the world. Mother’s Day is usually a day of celebration, but for many parents who have lost a child it is a day of heartache, pain, and tears thinking about our sweet angels. To help raise awareness for this beautiful day take some flowers from the flower gallery on Carly Marie’s page. Post them as your profile image on your favorite social network. Post them on your friends’ walls on Facebook and let them know they are beautiful mothers. You can also visit thisfacebook page to join the community honoring this day. 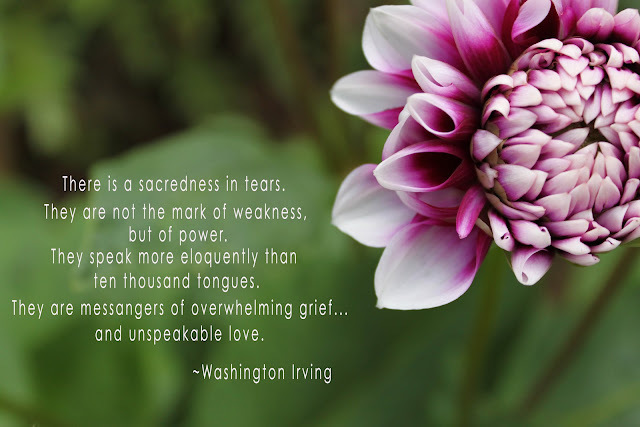 Anticipating and facing Mother’s Day after the loss of your baby can be challenging. A time when you should be celebrating, becomes a time of remembering and thinking about all the “what ifs” and “should have beens” instead. Not only is your precious baby not here with you, but witnessing the celebration and joy in other families can make it even more heartbreaking. Many parents have found that the lead up to certain special dates is worse than on the actual day. We almost fear that day, not knowing how we will cope; not wanting to feel more pain than we already are. Through planning the day though, Mother’s Day can also be a beautiful one. Planning ways to get through these special dates may provide comfort and healing to your hurting soul, by giving you some tangible purpose in your day. Whether you are on your own, or are surrounded by family & friends, this is a time for you and your baby. Here are some ideas taken from the Bears of Hope Newsletter that you might like to think about to help you get through Mother’s Day. Recognize that they are a mother: Offer a hug and a “Happy Mother’s Day”. Acknowledge that even if the mother has other living children, she may still be missing the one who’s not with her to celebrate Mother’s Day. Send a card to let them know you remember they are a mother even though their child is not with them physically. Use their child’s name in conversation. Plant a living memorial, like a tree or flower in memory of their baby. Light a candle and let the mother know you will light a candle in memory of their child on Mother’s Day. Share a memory or pictures of the child. Send a gift of remembrance: Suggestions include an angel statue, jewelry, a picture frame, a library book or toy donation in the child’s name or anything personalized. Don’t try to minimize the loss: Avoid using any clichés that attempt to explain the death of a child. (“God needed another angel.”) Secondly, don’t try to find anything positive about the loss (“You still have two healthy children”). Encourage self-care by encouraging the mother to take care of herself. Give her a gift certificate to a day spa or any place where she can be pampered.